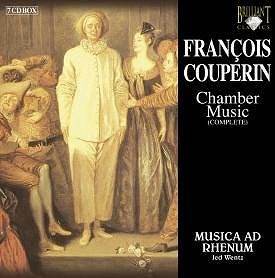 I'll kick of with some recordings of my favourite French baroque composer: François Couperin. For me his compositions for the harpsichord are marvelous. Goes right beside Bach and Scarlatti. What I like about these works is their idiosyncratic nature and dreamy, otherworldly character. At least that is what I hear! I love my set of complete works by harpsichord giant Christophe Rousset to bits. 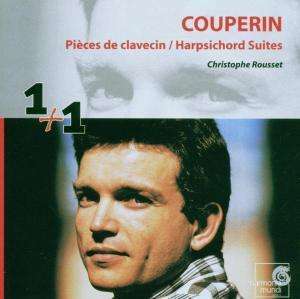 Rousset is highly idiomatic in this, with a true instinct for Couperin's "poetry" He plays a superb, very sonorous and lush sounding harpsichord. A cheap 2CD set with "highlights" is available, as is the stupendous "L'Apothéose de Lulli" for two harpsichords, played by Rousset and William Christie - extreme virtuosity and excitement! 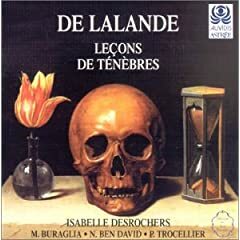 Another favourite is the already mentioned Leçons de Ténèbres. Very delicately played, perfect blending of the orchestra with the voices of Véronique Gens and Sandrine Piau! A dream cast. Major vocal baroque works, which luckely enjoy an increasing number of recordings. Couperin's organ masses are perhaps a bit of an acquired taste - fascinating and full of character! Especially when played on authentic, really adventurous sounding organs as here. Yeah, I love F. Couperin's "Leçons de Ténèbres" I have Concerto Vocale/René Jacobs on Harmonia Mundi (The Fortieth Anniversary Edition that looks just fantastic). Thanks Que for this much needed thread! I am a Rameau nut. Opus Arte DVDs "Les Indes galantes" and "Les Boreades" are mindblowing! Minkowski's "Dardanus" on Archiv is superb. Just amazing sound! I also enjoy the Orchestral Suites and Harpsichord discs on Naxos. M.-A. Charpentier is probably the greatest 17th century French baroque composer. There's many excellent discs on Naxos by Le Concert Spiritual/Hervé Niquet. I also have a stunning Gérard Lesne box of Charpentier's "Leçons de Ténèbres" (Il Seminario Musicale). Jean-Baptiste Lully should not be ignored either. Lully is excellent on orchestral colours and textures. Again, fine discs available on Naxos, Le Concert Spiritual/Hervé Niquet again. Louis-Nicolas Clérambault is one undervalued composer. His cantatas are excellent and full of nuances. My favorite disc is his 4 secular cantatas on Opus111 label (Ensemble Amalia). Archiv has a nice disc of cantatas by Clérambault, Francois Collin de Blamont and Jean-Baptiste Stuck (Les Musiciens du Louvre/Minkowski). Stuck's cantata blew me away. When it comes to Viola da Gamba music there is no way to ignore Marin Marais. Couple of Naxos discs is all I have thou. Then there is Michel-Richard Delalande. I haven't explored him much. You people with your shiny new stereo recordings on CD! What a bunch of pussies! Go find Anton Heiller's recording of Rameau's harpsichord works on Vanguard (issued on CD recently, I believe)! 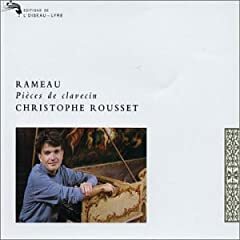 Pussies or no pussies, I'm very satisfied with Rousset's superb renditions of Rameau! Same qualities as his Couperin: very idomatic and imaginative playing - sparkling. But judging from the online reviews, Anton Heiller seems to be an excellent harpsichordist, I'll try him some time. I have a few Marais discs. This is the finest one. Brings the music to life much more effectively than the Naxos disc I have, though that is fine in its own way. Explore this first. It initiated a whole new era in my own music appreciation when I first got it on a whim a few years ago. Not kidding! I find these Tenebres even more affecting than Couperin's. And the couplings on this CD are breathtaking. For Rameau's harpsichord works I would recommend trying the less well known version by Noelle Spieth (Solstice) which seems a bit more spontaneous-sounding than the more methodological (imo) Rousset. I have not heard Scott Ross's celebrated recording. For instrumental and readily accessible Delalande, one may try Hugo Rene's recording of the Symphonies pour les Soupers du Roy as well, whether the complete 4-cd version or the highlight disc. I have a La SoloTheque disc. Do try out the Northwest Classics SACD of harpsichords/virginals in the Hans Ruckers tradition played by Jos van Immerseel when you can. A very unfussy and yet totally realistic sound representation of the instrument. Six of the selections are from the French Baroque repertory: Duphly, Forquery, and Armand-Louis Couperin. Pardon the misspelling as I wrote from memory. I'm very glad that this thread attracts so many interesting contributions! I'm just starting to discover French baroque myself, so any help is welcome. 71 dB, thanks for that. I haven't heard anything by Clérambault and did not even know the names of de Blamont and Stuck! Thanks, Luke. 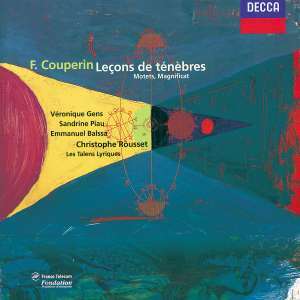 Since I like Couperin's "Leçons" so much, I certainly will! For Rameau's harpsichord works I would recommend trying the less well known version by Noelle Spieth (Solstice) which seems a bit more spontaneous-sounding than the more methodological (imo) Rousset. Yes, Rousset has a slight, just slight, academic touch - student of Leonhardt! Noelle Speith seems very popular amongst the French too - shall check her out! Wow, another Delalande recommendation! Masolino, is this the set? No problem Que. That's the disc. Also available with different covers. Names de Blamont and Stuck where new to my too. 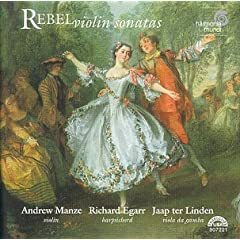 After hearing some of Angela Hewitt's recent Rameau disc on the radio I've picked it up. I do like it but then I'm not familiar with Rameau. Can anyone that is say how she compares to the competion? Q - good subject for a thread - I've been collecting this music for a while but could certainly expand & 'polish' my current ownings - also starting w/ Couperin, one of my first & still a favorite recordings is Les Nations w/ Jordi Savall (2-CD set on Astree) - may be OOP or possibly re-issued? I really need to look into the keyboard works on harpsichord - own 3 CDs w/ Angela Hewitt (cheap BMG Club offerings) performing these works on the piano - not bad but no substitute; need to look into Rousset (have a great 4-CD set of him doing JS Bach); do have one disc w/ Cummings on the harpsichord, but the other performers mentioned so far in this thread seem to be a much better option! A great bargin that I obtained earlier in the year is the Complete Chamber Music on the Brilliant label - 7 CDs of quite good to excellent performances - CLICK on the image for a review on Musicweb. I recommend you all this marvelous recording. Luke, I see you mention Rebel and Chaos. I heard it at a friend's house and was taken aback. In terms of the context of his work and others at that time, did it simply emerge as a one off? Do we know how people reacted to the piece, as it strikes me as sounding quite revolutionary. No, it's the extracts disc but the integral set is probably OOP at this moment anyway. I second the recommendation for Clérambault cantatas (there are other recordings) and esp. 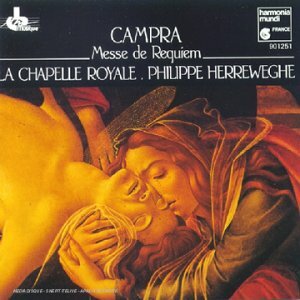 the Campra Requiem. This, along with the Gilles Requiem is one of the high points of the French Baroque sacred repertoire. The Charpentier Te Deum is another incontournable. Don't miss out on Corrette either.